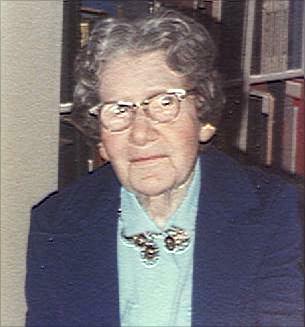 ADA LOUISE SMITH died on February 19, 2011, shortly before her 104th birthday. She was born in Hamilton, Ohio on April 7, 1907, the daughter of William Michael Ludeke and Mary Adelaide (Addie) Schneider. She graduated in 1929 from Miami University in Oxford OH and worked for the Butler County Bureau of Social Work until she married Francis See (Frank) Smith in 1930. They lived in Kansas City, Missouri till 1971, when they moved to Blue Springs MO. 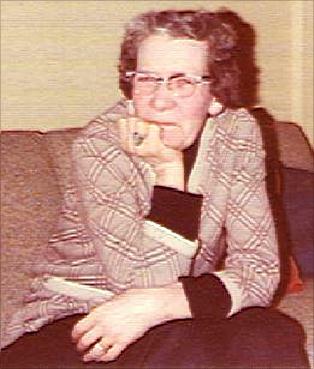 After her husband's death in 1973, "Smitty" returned to Kansas City and lived there from 1986 till her own death. She is survived by her daughters Mila Jean Ehrlich, Mellie Nash, and Corinne "Connie" Frisby; six of her eight grandchildren; five great-grandchildren; two great-great-granddaughters; and many friends. All of them remember her warm humor, love of music and literature, and compassion for others. Memorial contributions may be given to the Shepherd's Center of Kansas City at 5200 Oak Street, KCMO 64112. Cremation rites were accorded and a private inurnment beside her husband took place in Blue Springs Cemetery. against life's obstacles. I say good-by finally as a dear friend, and trusted ally, one who believed the best in each of you. I loved you all, and felt blessed having you in my long lifetime. 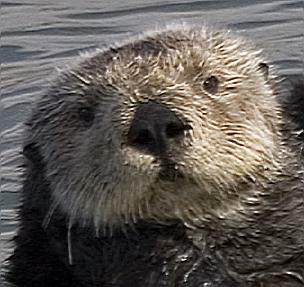 If, after death, I could come back in any other form, I would choose to be a sea otter.